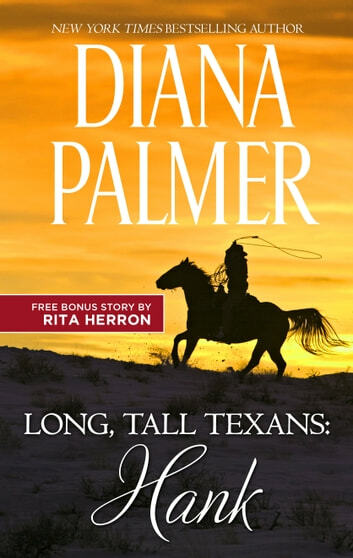 Join New York Times bestselling author Diana Palmer in classic Long, Tall Texans: Hank (originally published as Redbird in 1995) and USA Today bestseller Rita Herron’s fan-favorite tale of a rancher on a run. 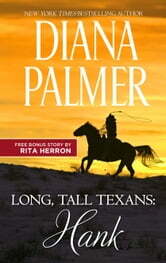 After years of heartache and drama, Hank Shoeman has come to one conclusion…love is nothing more than a nuisance! He has retreated to a secluded Colorado cabin, eager to be away from the pesky outside world…and the hurt that came with it. Rancher Brody Bloodworth has spent years blaming himself for his brother’s disappearance. If he hadn’t snuck off to be with Julie Whitehead, everything would have been different—and he wouldn’t have pushed her away. Now Julie is back, an FBI agent with a solid lead on his brother. Before long he finds himself unable to keep his hands off her. As he prepares for a showdown with the ruthless kidnappers, Brody knows what’s at stake if he wins. And just how much he’ll lose if he doesn’t….